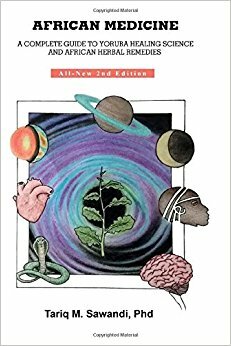 African Medicine: A Complete Guide To Yoruba Healing Science And African Herbal Remedies - A combination of West African Healing Wisdom, spirituality, and modern science, presents a self-care healing guide in which Concepts such as Orisha Energies form the basis for diagnosis and treatment of chronic illnesses that most frequently threatened balanced health. The Yoruba people, a tribe in West Africa, are considered to be the oldest herbalists on the planet. After living in ancient benin for a time, they settle in Egypt, bringing with them an herbal, dietary, and healing drum system dating back 75,000 Years BC. Dr. Tariq Sawandi presents Yoruba medicine as a comprehensive system of healthcare that heals the whole person, mind, body, and spirit.